The city of Idaho Falls is inviting the public to get involved in a conversation this fall about high-speed Internet service to homes. At a work session Monday afternoon, Mayor Rebecca Casper and the City Council heard about a study done by Finley Engineering Co. and CCG Consulting. Using Idaho Falls Power’s rights of way, the city began laying a fiber ring in the early 2000’s in order to improve communication between its power plants, offices and recreational facilities. 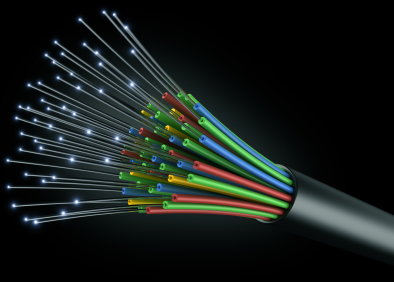 The second advantage was the economic incentive of being able to offer “dark fiber” to business customers. “Recognizing that home broadband use is experiencing exponential growth – doubling every three years – it was appropriate for us to identify the types of options that exist for promoting high speed broadband connectivity to homes as we contemplate the future of our existing network,” says Idaho Falls Power General Manager Jackie Flowers. Idaho Falls Power issued a request for qualifications in 2015 to evaluate expansion options for the city’s existing dark fiber network and to identify potential alternatives associated with expanding high speed broadband connectivity to the home. With a winning bid of $56,904, Finley Engineering was hired in August to study the city’s Internet business model and present alternatives. The feasibility study outlined Monday afternoon at a work session not only looked at the cost of building fiber everywhere in the city. It evaluated the cost of electronics and other assets needed to build and operate a fiber network and what level of penetration rate would be needed to make each option economically viable. Idaho Falls operating as an Internet service provider based on various public finance options. 29 percent penetration rate required. Idaho Falls partnering with either an existing or new Internet service provider. 40 percent penetration rate required, and privately financed network expansion. Public-private partnership with either an existing or new Internet service provider. 40 percent penetration rate required, and a combination of publicly and privately financed network expansion. Internet service provider “cherry picking” areas of town most likely able to afford connectivity (also known as the “Google model”). 35 percent penetration rate required, and a privately financed network expansion. Open access network, building off the existing business model where end use customer chooses from multiple providers. Publicly financed network expansion with no break even potential. A series of public information sessions are planned this fall to present the detailed findings of the consultant’s report. “If, after reviewing the report, the citizens of Idaho Falls want us to move forward, we will consider next steps. We are excited to engage the public in this conversation,” Flowers said.